Is there a greater gift—or a more appealing challenge—for an American hunter than chasing game across public land, using only your instincts, gear and grit to fill your tag? For many Western hunters, this challenge is literally part of the landscape. West of Nebraska, public land is abundant and accessible. Hunting opportunities are varied and plentiful. And while outfitters do good business, most hunts are open to anyone with a tag and a willingness to learn the country and the animals, and who can take care of themselves in landscapes with few signs of human development. 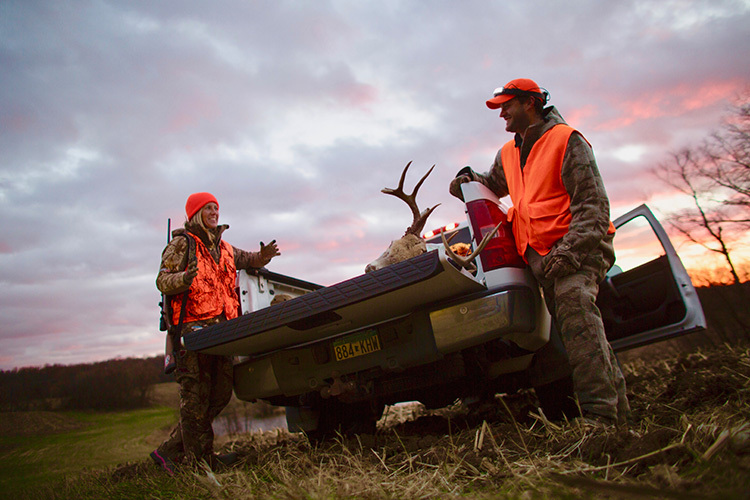 But a Western hunting trip is seldom as easy as loading up the Suburban and pointing it toward the sunset. Many big-game tags require years of going through the application process before you draw. Season dates, bag limits, and hunting-unit boundaries often change from year to year. And then there’s the scale of the country. It’s big and wild, and often requires specialized gear. Sound intimidating? It is, but don’t let that scare you away from an awesome adventure. Here’s a way to get started. These five hunts represent classic Western public-land adventures, but they don’t require years of planning and license preference-point accumulation. And all are easily accomplished with basic gear. Best of all, you can do them right now! A Wyoming sage grouse hunter admires the wingspan of a mature grouse. 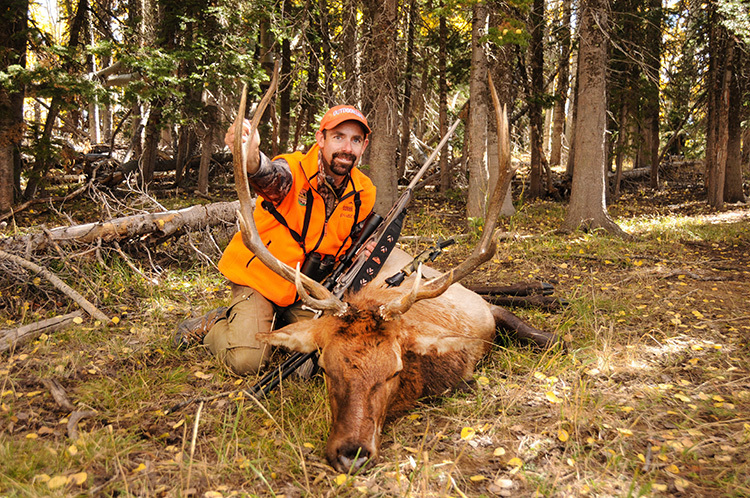 Much of the best hunting takes place on public land in Wyoming. 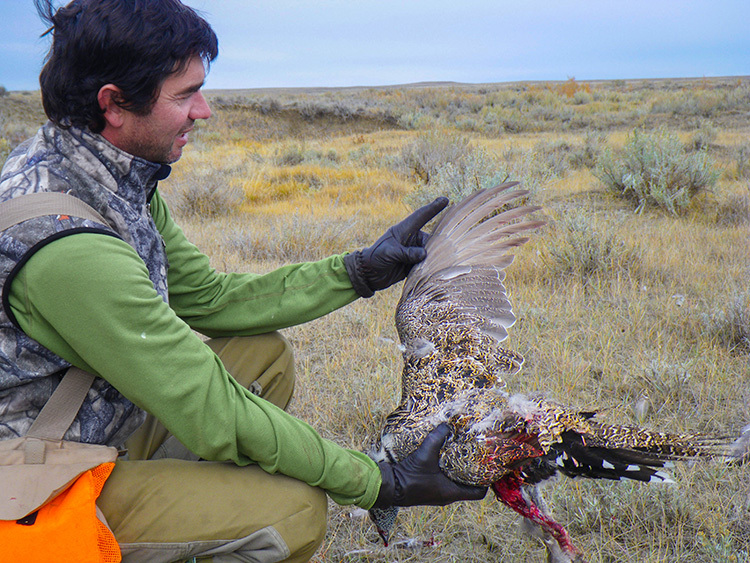 The clock is ticking on the largest native upland bird of the West. Sage grouse are a perennial candidate for listing as an endangered species, mainly because of habitat loss. Hunting opportunities for “bombers,” as sage grouse are often called for their ponderous flight, have been restricted over the years. Currently, only a couple of states offer sage grouse hunting. Wyoming has the most abundant sage grouse population in the West, but the season runs for only a fortnight in the best area, called Hunt Area 1, which basically covers the western half of the state. The season runs Sept. 16-30 this year, and hunters can bag two sage grouse a day and keep four in possession. Nonresident hunting licenses cost $74 for the season (allowing you to also hunt sharptail grouse, partridge, and pheasants), or $22 per day. 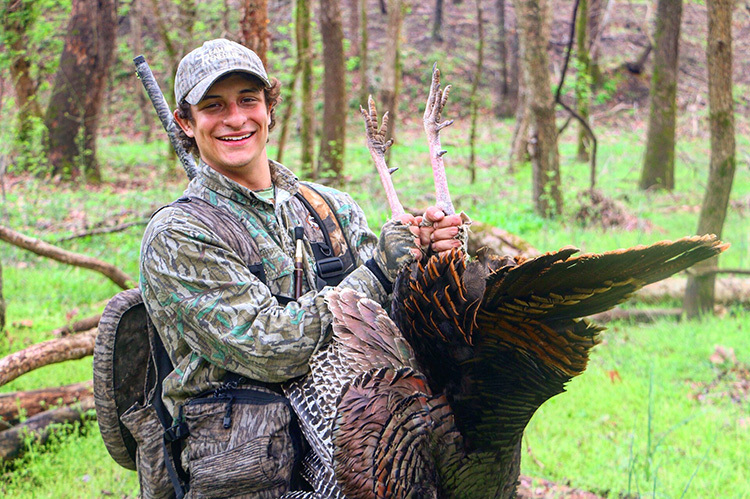 There’s also a nonresident youth license, which costs $40 per season and is a good incentive to bring young hunters on this classic Western bird hunt. GO HERE: The Cowboy State’s best sage grouse area is the expansive sagebrush sea along the historic Mormon and Oregon trails, from Casper west to South Pass. Almost all this land is public (managed by the Bureau of Land Management, and you can camp and fish on much of these federal properties. During late September, hike riparian washes and areas with tall, shady sagebrush, where the birds will seek shade and bugs on hot autumn afternoons. 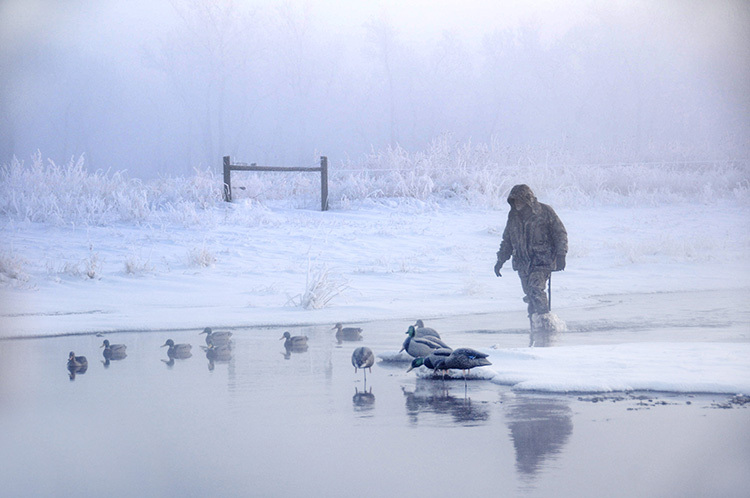 Late-season Great Salt Lake ducks don’t require many decoys, but weather can bring snow and freezing fog. Sky-darkening flocks of waterfowl, abundant public access and one of the most varied bags in the West are all within sight of metropolitan Salt Lake City. Waterfowling Utah’s Great Salt Lake is one of the most accessible and productive hunts in the West. Even better, it doesn’t take a lot of planning or gear to bag ducks here in this sprawling inland sea, surrounded with abundant public marshland. For good pass-shooting and decoying with small spreads, head to Bear River Migratory Bird Refuge on the northeast shore of Great Salt Lake. GO HERE: Set up on dikes on Farmington Bay Waterfowl Management Area, where a small boat will get you away from the crowds and allow you to decoy diving species like redheads, buffleheads, ringnecks, and even the mighty canvasback, the trophy bird of American waterfowlers. For season rules, license fees, and open (and closed) hunting areas, check out the annual Utah Waterfowl Guidebook. 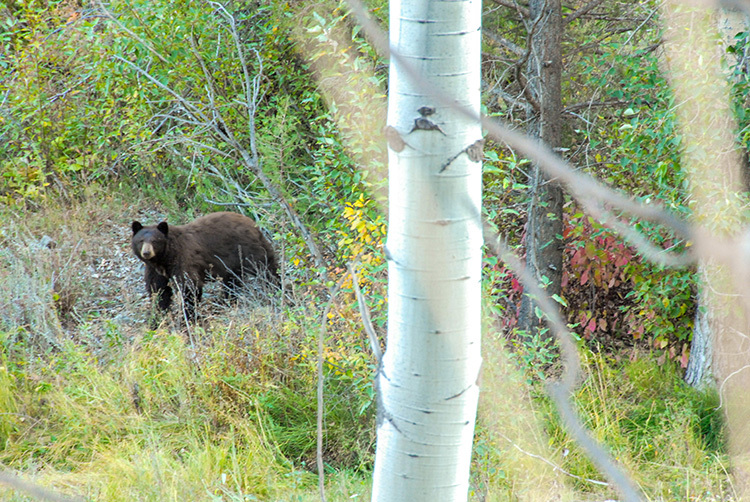 A Montana black bear works down a side-slope in the Helena National Forest. Drawing a Montana nonresident deer or elk tag can take years of preference-point accumulation or you can buy a bear tag over the counter and hunt the same public areas as you would for antlered game. There is a catch; you have to take a simple bear-ID test to prove that you can tell the difference between black and grizzly bears, which often share the same habitats in western Montana. The other thing you should know is that bear hunting in Montana is entirely spot-and-stalk. Neither baiting nor hound hunting is legal here. Those restrictions actually improve the hunt; black bear hunting is so similar in locale and style to deer and elk hunting that a bear hunt is a great primer for hunting antlered game. GO HERE: National forests and wilderness areas from Bozeman to Kalispell offer the best bear hunting. 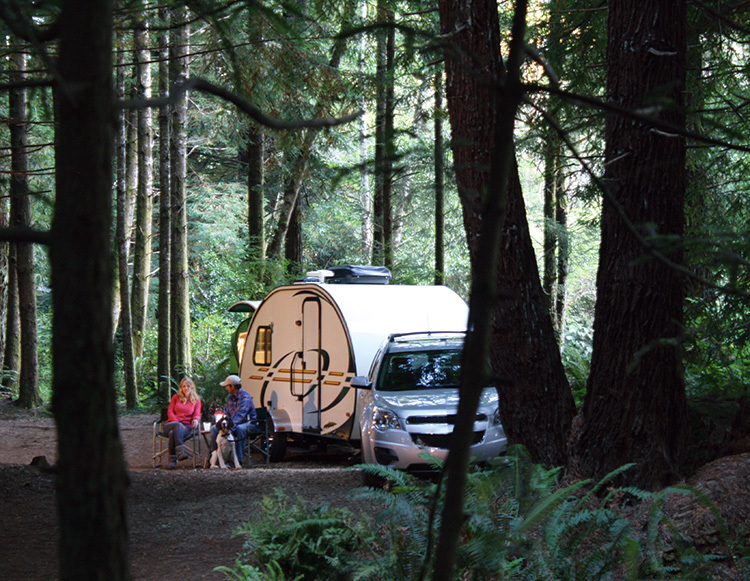 Specific forests include the Lewis & Clark, Flathead, and Lolo. For a directory of each forest, as well as maps showing public-land boundaries, contact the Region 1 office in Missoula, Mont. 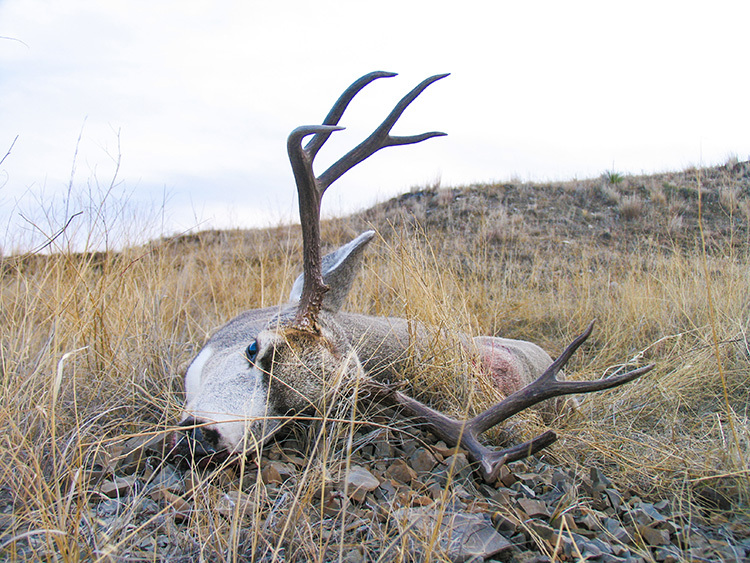 Late-season Arizona mule deer are widespread on public land. A trophy mule deer buck tag for Arizona is one of the most coveted permits in America. But the Grand Canyon state offers abundant hunting opportunities for both mule and Coues deer for hunters who use archery gear. Many units are open for late-season bowhunting on over-the-counter tags (OTC). 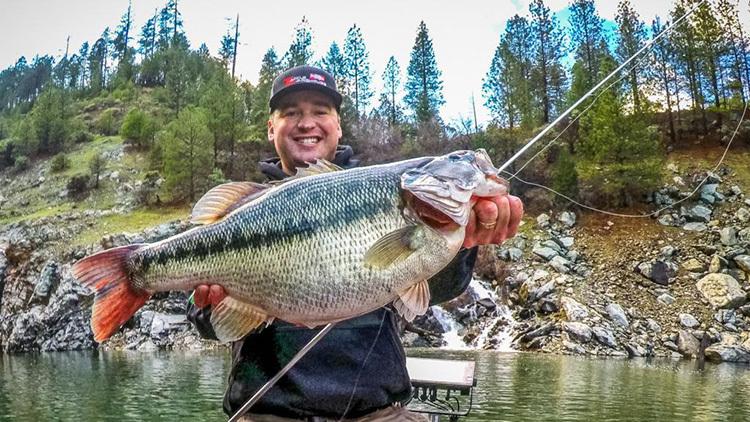 And there are few better ways to escape the winter blues in the rest of the nation than spending late December and January in Arizona’s deer country. Both mule deer and Coues deer are huntable on these OTC tags, and because the season corresponds with the Coues deer rut, this is one of the best times to see numbers of the gray ghosts in the desert mountains. Tags are reasonably priced—$160 for the nonresident hunting license plus the $300 deer tag (resident prices are $45 and $57, respectively)—and units are as varied as Arizona’s terrain. Arizona’s online hunt planner is a great way to identify open units and plan for the mix of terrain and season types that each offer for deer hunters. GO HERE: For Coues deer, hunt the southern mountains, especially units east of Tucson and near the New Mexico border. Mule deer and Coues deer roam the units along the Mexican border east of Nogales. Colorado has the most elk of any Western state with over 300,000 animals; many on public land. With the largest elk herd in the nation, over-the-counter tags and abundant public land, Colorado is an elk-hunters’ destination. Problem is, all that opportunity can lead to frustration unless you do some solid homework and plan to hoof it to get away from access roads and the crowds they attract. 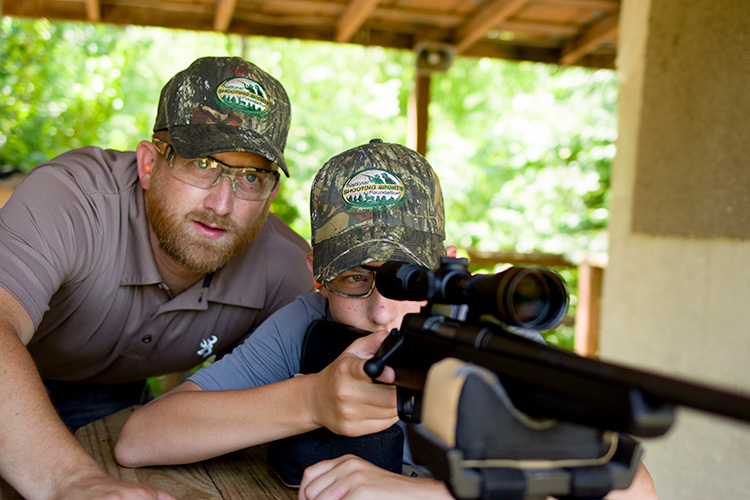 Plan on either the 2nd or 3rd rifle seasons, which run Oct. 20-28 and Nov. 3-11 this year. During these periods, snowfall isn’t too extensive, and elk are still fairly well distributed on public lands. The tough thing is that a big high-country snowfall could certainly change your plans overnight. GO HERE: For planning, a great starting point is the state’s digital hunting atlas, which shows unit boundaries and game-management unit designations. Cross-reference that information with harvest statistics from Colorado’s Craig region, available from the Division of Parks & Wildlife’s excellent hunting guides, and you should have a good idea of where to find both public land and huntable elk. The rest is up to you, and your gear. People assume that with over 300,000 head of elk, there’s a wapiti behind every tree. The reality is that to have consistent success in Colorado, you need the ability to hike hard, spend long days in the field, and have the flexibility to move up or down in elevation, or deeper in the backcountry, as conditions dictate. About the Author: Andrew McKean is a longtime outdoor writer and the former editor-in-chief of Outdoor Life. He lives in northeast Montana with his family and yellow Lab. You can follow his adventures on Instagram @aemckean or on Facebook @andrew.mckean.